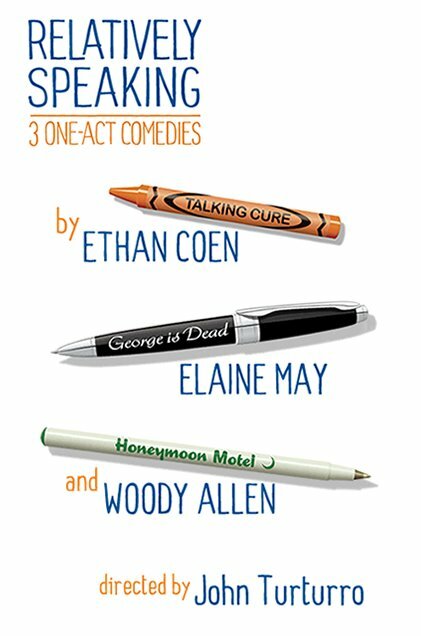 Relatively Speaking is a hilarious evening of one-act plays written by Ethan Coen, Elaine May and Woody Allen. Each play springs from a different branch of the family tree. In Talking Cure, Ethan Coen uncovers the sort of insanity that can only come from family. 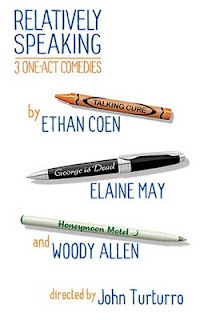 In George is Dead, Elaine May explores the hilarity of death. And in Honeymoon Motel, Woody Allen invites you to a wedding day you won't forget. Not lucky this time around? Save up to 40% on performances through November 6th when you order by October 20th. Tickets start at just $45! Visit Ticketmaster.com and use code RSTELE or bring this posting to the Brooks Atkinson Theatre Box Office (256 W. 47th Street). You can also call 877-250-2929 and mention code RSTELE!